SSH into the EMC PowerPath Virtual Appliance 1.2 VM and then run the script to export the EMC PowerPath Virtual Appliance 1.2 configuration. [2015-05-13 11:59:01,390] Copying vCenter servers in vcenterserver.xml file. [2015-05-13 11:59:01,466] Moving vcenterserver.xml file in current folder. [2015-05-13 11:59:01,471] Creating zip archive. Copy the resulting vApp1.x_Config.zip file to the local desktop or a remote location. Take note of the EMC PowerPath Virtual Appliance deployment parameter details. The parameters are not copied from EMC PowerPath Virtual Appliance 1.2 for security reasons and therefore requires manual re-entry in EMC PowerPath Virtual Appliance 2.0. Power down the EMC PowerPath Virtual Appliance 1.2 VM. NOTE: Do not delete the EMC PowerPath Virtual Appliance 1.2 VM until after successful EMC PowerPath Virtual Appliance 2.0 import. 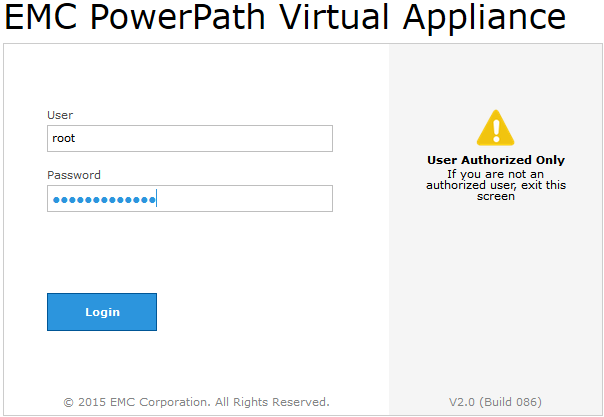 Deploy EMC PowerPath Virtual Appliance 2.0 with the same EMC PowerPath Virtual Appliance Deployment Parameters (see step 5) as EMC PowerPath Virtual Appliance 1.2. Power up the EMC PowerPath Virtual Appliance 2.0 VM. This script configures VMware Tools and starts it. You can now run VMware Tools by invoking "/usr/bin/vmware-toolbox-cmd" from the command line. In the 2.0 PowerPath Virtual Appliance web console, navigate to System > Settings > Import Backup File and then import the vApp1.x_Config.zip file. Click OK to confirm you are sure to import the file. In one of my environments, the license assignment got lost and all hosts were reported as unlicensed. Navigate to Inventory > VCenter Servers, highlight the vCenter and click on Repoll ESX Hosts button. 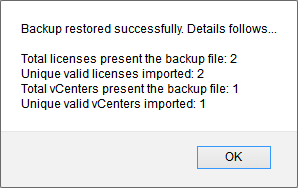 After successful import, EMC PowerPath Virtual Appliance 1.2 can be deleted. Reboot is not required after upgrades using the upgrade script.